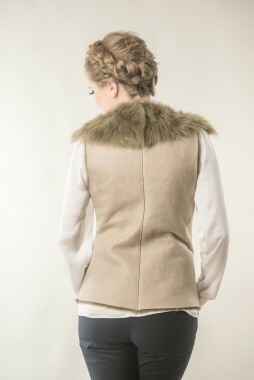 Natural uncut lamb fur vest, for women. The casual design of this vest is perfect for the cold days of autumn. 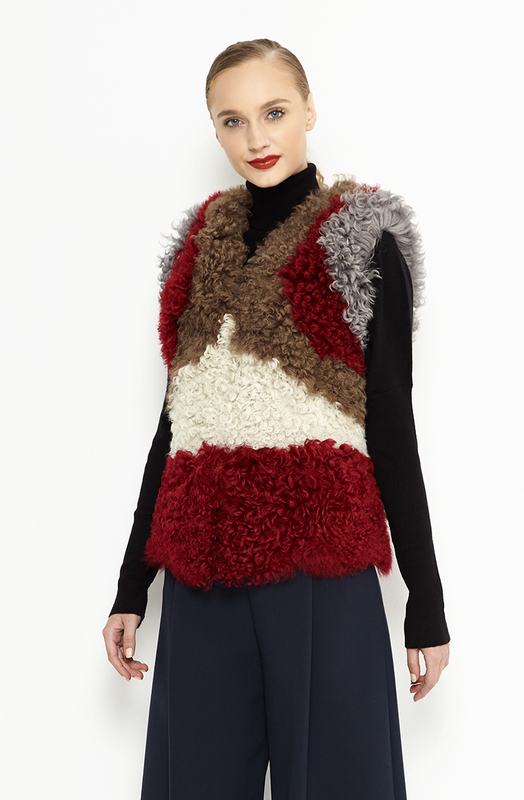 The different textures of the materials used, make this vest unique and easy to combine with any outfit. This vest has two side pockets for extra comfort and closing of this vest is provided by the ‘hook-and-eye’ system. Don’t hesitate to purchase a vest that you will wear with love and comfort.